None of the web app development philosophies that have arisen truly have security testing at their core, focusing on speed to market above all else. The daily number of successful attacks against applications makes it clear that robust and secure applications are still a ways off. 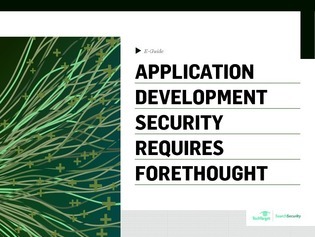 In this e-guide learn how RASP, or runtime application self-protection, could be the answer to prevent vulnerabilities from slipping through the review process and block new, unforeseen threats.